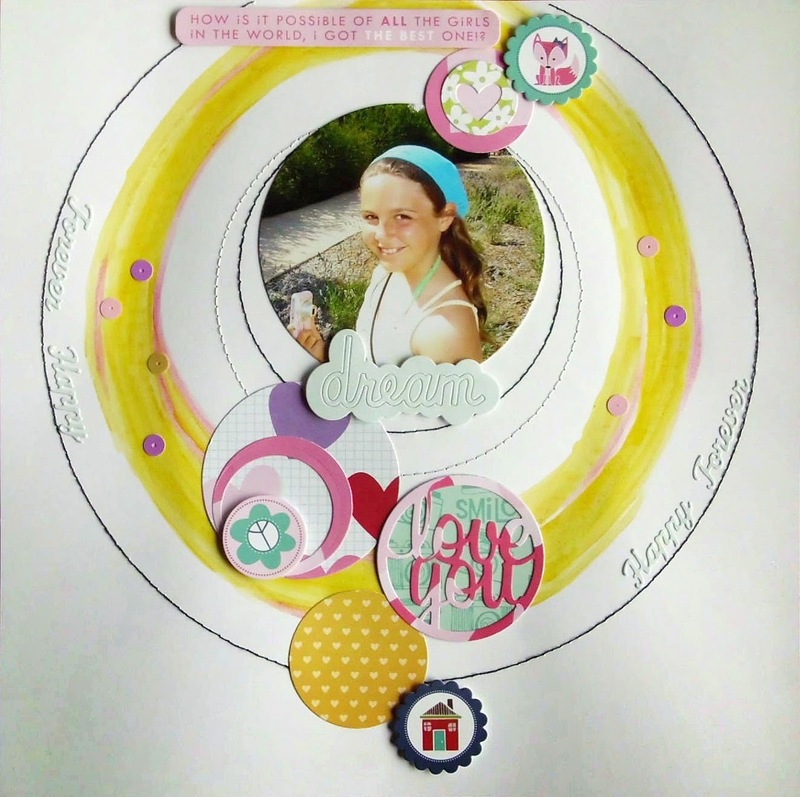 Circle Love You Layout created by Design Team Member, Sabina Galfre. Check out the use of circles on a layout. Sabi è STUPENDO! da l'idea di profondità! sembra tridimensionale.....bellissimo!